Last year I wrote a post describing how to pass values to a new opportunity using the URL. 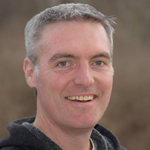 This post is simply an alternative to accomplish the same goal of auto-populating values to a new record except using Visualforce & an Apex Class controller. For the purposes of our demonstration we will make some general assumptions about the values we want to pass to the new record. To keep it simple we plan on populating the Name, Stage & Close Date of the new opportunity. We will also make the logic flexible enough so that if Salesforce happens to pass additional information we will be able to include those key value pairs as well. Now that we have a handle on the logic we can build the Visualforce page. The Apex Class is next. Because we may be accessing the Visualforce page and class from a number of different places within Salesforce, we cannot control what information may or may not be passed as the person navigates. Therefore, we need to make sure that we allow for the pass-through of parameters that we didn't expect. This is done on line 26 where we pass all of the key value pairs to the new page reference. We do this early in the logic so that we can overwrite any existing key/value parameters if necessary. We expect that Salesforce will natively pass an Account Id as the key accid when it is available. But we need to be able to handle situations when the accid key is not passed. Furthermore, we need to make sure that when the key is missing we still get the person to the new Opportunity detail page but just not populate the Name value. This logic is handled in lines 28 - 34 of the Apex class. Those of you that have been hacking Salesforce URLs for a while may be aware that you used to be able to pass a save or save_new parameter in order to have the application save the record without the person actually clicking the "Save" button. Recently Salesforce started to throw invalid session Id exceptions when trying to auto-save records via URL. For this reason, we want to make sure to strip out those two parameters if that happen to be passed to our Apex class. This is done on lines 39 - 41. 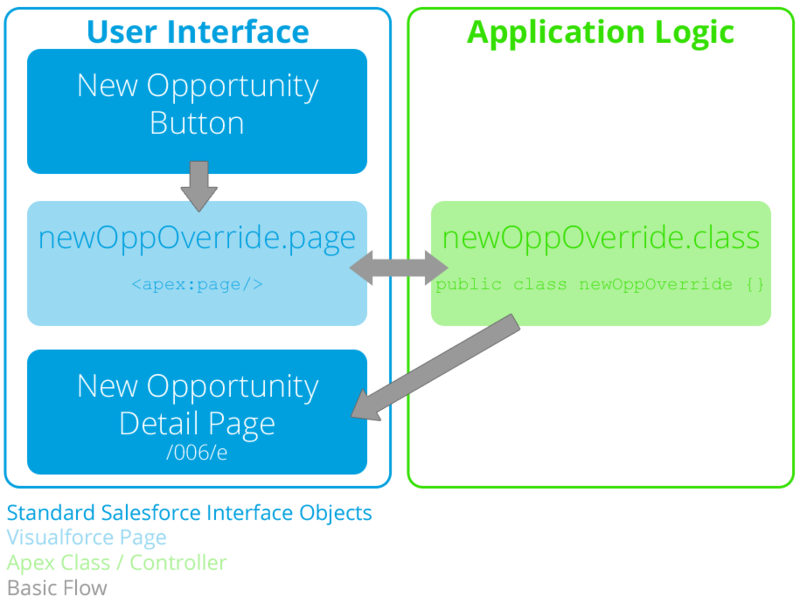 Now that we've got our Visualforce page and Apex class controller we can override the "New" button on the Opportunity object. Navigate to Setup > Customize > Opportunities > Buttons, Links, and Actions. Find the "New" button link in the page and click the "Edit" link. 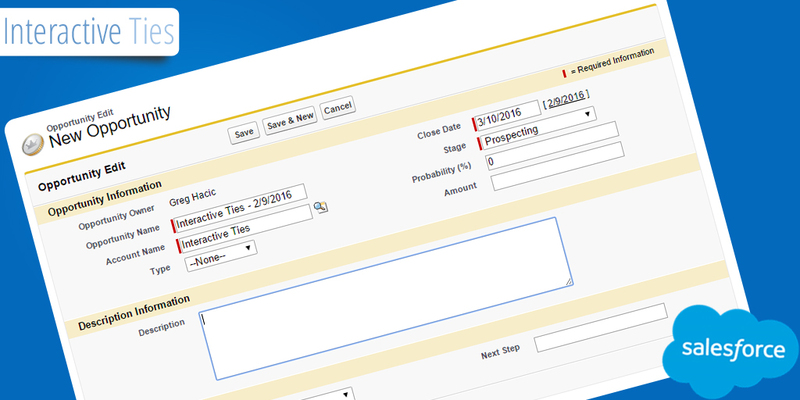 Select the newOpportunityOverride Visualforce page and click the "Save" button. The final piece to our functionality is the Apex test logic. The unit test below will get you 100.00% code coverage for the Apex Class as I have it written above. So there you have it. Another way to pass values to a new record but this time we are using Apex. Additionally, this concept can be applied to any object in your org.